Hi there! Today’s post is about another mani that counts towards the 31 Days Nail Art Challenge (which I’m doing as a lifetime challenge). It’s mani #3 Yellow Nails. For this mani I painted my nails with P2 Color Victim 240 Joyful (3 coats). 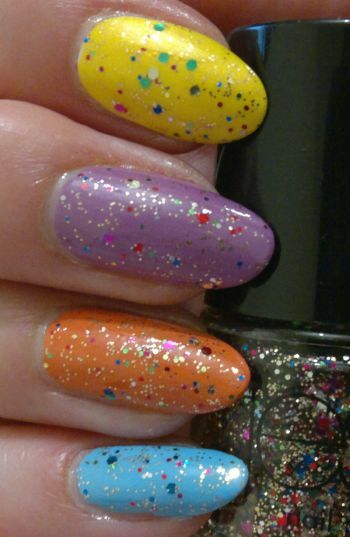 This polish is a bright and sunny yellow with an old-fashioned frosty finish. It’s not really a favourite. 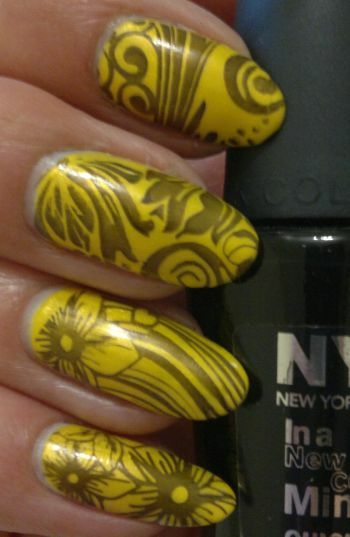 I used my unbranded Flowers 01 stamping plate and NYC In A Minute 001 Evil to stamp on the images. 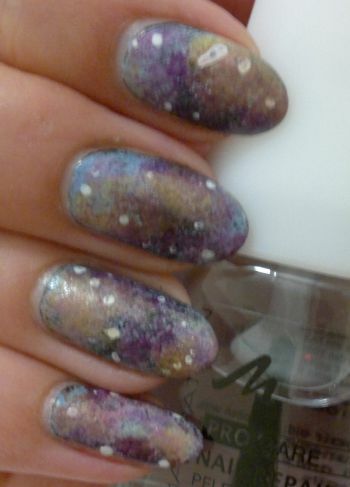 I think this mani wasn’t great, but it was OK to wear it for two days. I got a few compliments, but that was only because the shiny yellow caught peoples’ eyes.